Since blogging is such an awesome way to earn extra income I want to continue on with more ways you can draw more interest to your blog. Today I wanted to talk you about how to quickly write an eBook for your blog. Having an eBook on your blog is a great way for you to boost your email sign ups and also your credibility. I am always much more apt to sign up for someone’s email list if I am getting a free bonus. Some people offer giveaways while others offer eBooks. I, for one, am always much more inclined to sign up for an email list with a free eBook rather than a giveaway. Mainly because I figure my odds of actually winning the giveaway are slim to none. If a blog offers a free eBook that I feel can benefit me in some way, you better believe I’m going to sign up. The eBook I wrote for this blog actually took me a while to complete. I started from scratch and spent a lot of time figuring out what I wanted to say. However, when I bought Defeat Our Debt I had plans to one day sell it for profit. 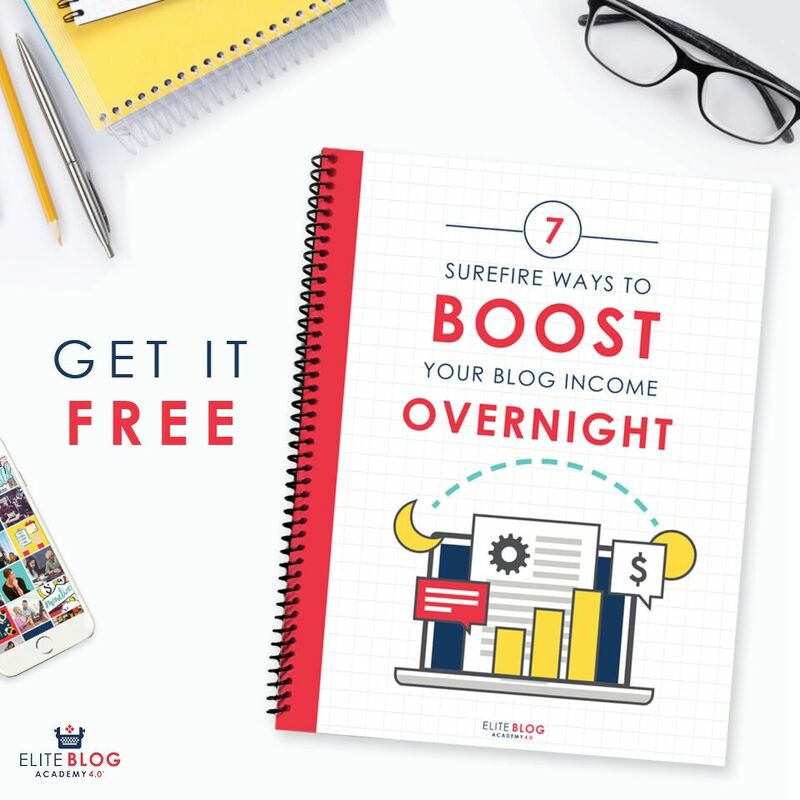 I knew having an eBook and email subscribers would increase the value of the blog which is why I put together a free eBook. I also knew I didn’t want to spend the amount of time writing an eBook that I did for this blog. That’s why I came up with an easy way to quickly write an eBook. It took me all of one evening to get it together. Here’s how to quickly write an eBook for your blog. This should probably go without saying but your eBook needs to be relevant to your blog. 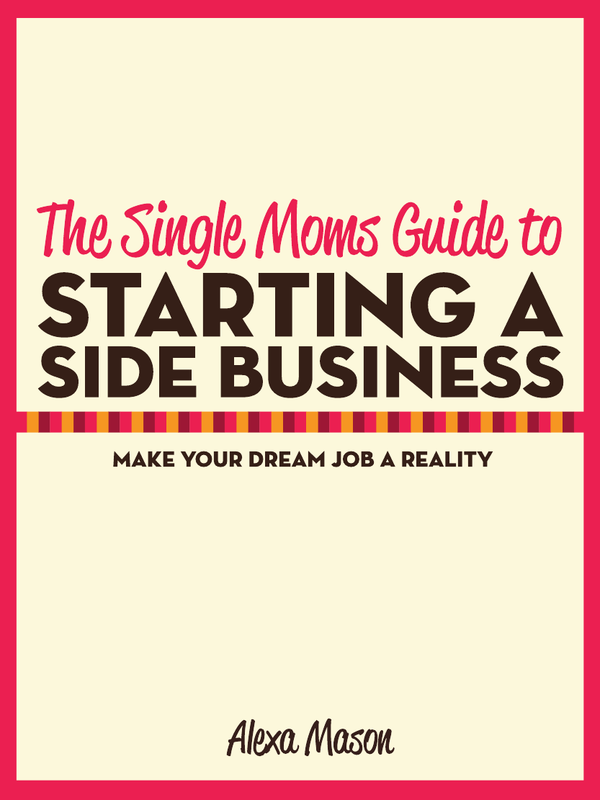 On Single Moms Income the thing I talk about most is finding new businesses to create. 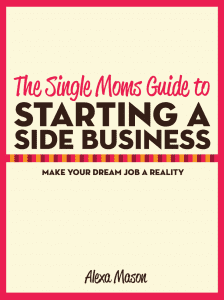 The Single Moms Guide to Starting a Side Business, was of course, an obvious choice. 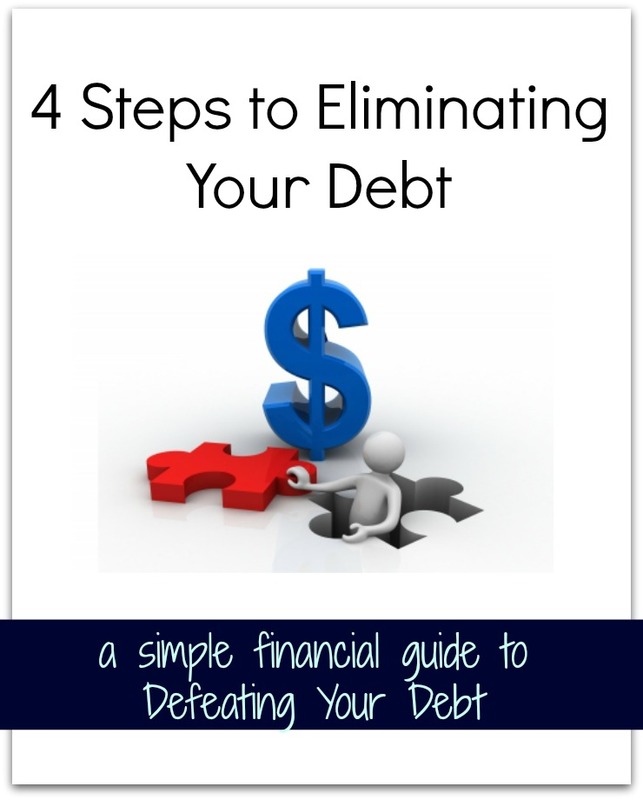 With Defeat Our Debt the whole focus of the blog is hundreds of ideas to get out of debt. 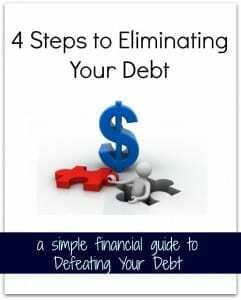 Therefore it only seemed logical to create an eBook on how to get out of debt. Choose an eBook topic that compliments your blog’s topic. The next step in quickly creating an eBook is creating a layout. Think about exactly what you want your eBook to be about and create a few chapters in your preferred order. You can see that my outline is super basic. My chapters are to the point and I’ve included and introduction and bonus material at the end. Everyone likes a bonus, right? Once I had my outline I went ahead to the next step. Once I had my outline I went through my old posts to see what fit in. I found a post for each and every chapter that I had created. I then copied and pasted those posts into a Microsoft word document in the order of my outline. Next I wrote the introduction, edited the existing posts that I had copied and pasted so that they flowed like a book would, and added extra information as I saw fit. I then went through and added headings, subheadings, and a table of contents. Lastly, I added the bonus section which was simply links to budget templates, financial calculators, and personal finance blogs. For Single Moms Income’s eBook I used a blog friend, Taynia from the Fiscal Flamingo, who I highly recommend. However, for Defeat Our Debt I want to use the cheapest route available. I purchased a stock photo from Free Digital Photos for $3 and used picmonkey to put the text on the cover. If you don’t want to create the cover yourself you could use a service like Fiverr to order a cover for $5. Once all of that is done it’s time to put the eBook on your blog and increase your subscribers! I was actually pleasantly surprised that despite the low amount of traffic Defeat Our Debt currently receives that I still get sign ups! In fact I started receiving email subscribers the first day I put the eBook up! That’s my advice on how to quickly write an eBook for your blog. Have you wrote an eBook for your blog? Any tips you’d like to share? Awesome work! I know I’ve got a ton of older posts that I could aggregate into one valuable resource. I’m very much interested in putting together some sort of eBook and experimenting with this type of monetization strategy in 2014. How do you actually publish the book – do you use a service so it is compatible with eReaders or simply PDF it? How do you sell it on Amazon? For email sign up giveaways I just used a PDF version. It’s very easy to do you just put your book together in Microsoft Word download a free PDF converter and drag and drop the file. People can still read your PDF file on an eReader. As far as selling through Amazon it’s just as easy! You put your book together in a Microsoft Word file and then Amazon converts your Word Doc into a Kindle Doc for you. All you do is upload and add a cover. Thanks for the how to. I haven’t written an ebook but I did put together a little giveaway for people who sign up for my email list. I definitely think it makes a big difference, both in terms of getting people to sign up AND on making sure they’re happy with the decision. This is a really great post as I haven’t considered writing an eBook, but now that you mention it I have signed up for a couple of blog’s email lists that I wouldn’t have if it wasn’t for the eBook. In fact, it may have even converted me from a casual Google-searcher who ended up on their site to an email subscriber of 2+ years! I will have to consider this for Young Adult Money or for my new health care-related blog. Using old blog posts to create an ebook is a great idea. It’s your content, so why not? Awesome advice Alexa. I have been looking at doing this for DR and now you got me wondering how I can do it. This is perfect timing! Great tips! I’m hoping to do this very soon for my business site. This is really helpful, Alexa. I hadn’t realized the process could be systematic, but it makes sense. maybe I’ll write a book this year! I haven’t considered writing an eBook though this is an awesome idea. I have considered it, but I would need to pick a subject matter first! I’ve done one ebook for a client project and found it surprisingly enjoyable. That’s impressive! I took part in a collaborative ebook and it was still quite challenging. I’ve been a little leery about giving it another shot but you set it up so it looks a lot easier! Nice work! Thanks for sharing this Alexa! I definitely have plans to put some ebooks together in the future, so this was very helpful. Using old posts as the basis for content proved to be a real time saver. Thanks so much for this, Alexa!! I’ve been thinking a lot about this subject lately. Looking forward to reading your DOD ebook! I had been thinking for a while that it would be good to put together an ebook to use as a sign up incentive but could never come up with an idea of what I could write about… I’m a lifestyle blogger I never thought I would have enough content on any one particular topic to make a book out of it. However, after reading your post and your suggestion to use older posts for content I had three different ideas for ebooks!! Thank you so much. Just wondering, how long (or short) would you suggest an ebook should be? most useful blogs on the web. I will highly recommend this blog! I came to take a look. I’m definitely loving the information. I’m book-marking and will be tweeting thios to my followers!